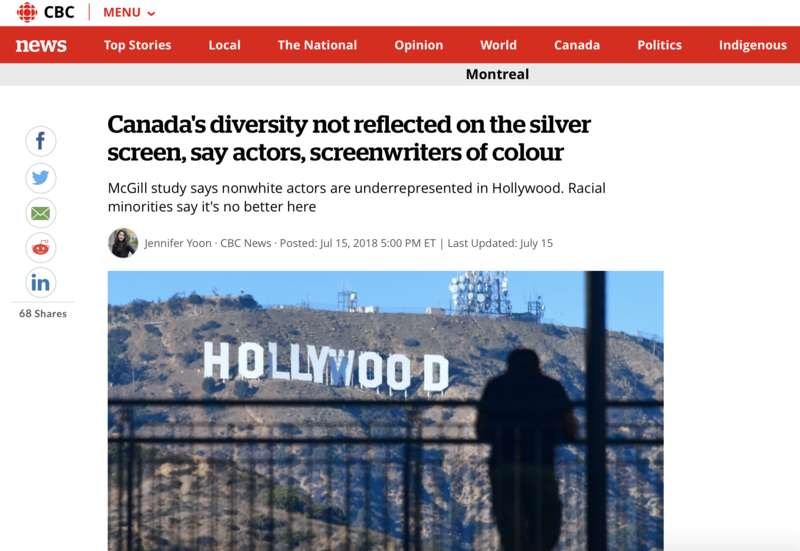 Very pleased that new research on racial bias in Hollywood cinema by lab members Vicky Svaikovsky, Anne Meisner and Eve Kraicer has been featured on the CBC today. A really moving set of interviews with Canadian actors to discuss impressions of the lack of diversity in Canadian film and television as well. Our research focused on the history of Hollywood movies, showing a massive under-representation of racial and ethnic minorities across all genres. The new piece highlights that this is likely the case in Canadian cinema as well. I’m pretty sure we’ve got a new idea for a next project.